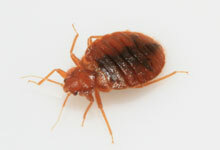 We at Pest Pro Exterminating are no strangers to Bed Bugs. Unfortunately, these pests as of late have been tormenting the New York area. Although they do not carry or spread diseases, their bites can be painful and unsightly. They are also extremely easy to bring into the home, as well as extremely difficult to remove. Professional extermination is really the only way to ensure they are removed and removed for good. Contact Pest Pro for all your exterminating needs on Long Island and in New York! A major problem we have in New York is a dense population without much space between us. This leaves us as a breeding ground for pesky insects such as Bed Bugs. Although an infestation is more common than not these days in the New York area, there is hope! Avoiding them isn’t always easy, and it could be even more difficult to exterminate them. Some people try to take the job on themselves, but it takes a professional to be sure they have removed all bed bugs and their eggs. Bed bugs is a deceiving name because they can live in any crevice, not just bed folds. We’ve found them even hiding out in couches, drawers and even in photo frames! They like tight spaces (especially warm ones) so be sure if you are taking this on yourself, check EVERYWHERE, not just the beds in your home.